Provide comfort for the family of Audrey Paige Dushane Smart with a meaningful gesture of sympathy. 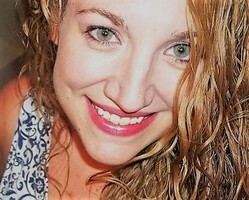 Audrey Paige Dushane Smart, 33, of Andrews, passed away on Tuesday, March 26, 2019 in Andrews. Family and friends will gather to celebrate her life at a memorial service at 10:00 AM Saturday, March 30, 2019 at City of Refuge Church, 1876 US North Highway 385, in Andrews with Pastor Larry Brewer officiating. Cremation is under the personal care of McNett Funeral Home. Please celebrate her life by visiting www.mcnettfuneralhome.com. Audrey was born on December 27, 1985 in Andrews, Texas to Karl Dwayne Dushane and Sherry Kay Young Dushane. She was raised in Andrews and attended Andrews High School. She was a straight A student, and a trainer for the football team. She was well known for her quick remarks, sarcasm, and twisted humor and was very good at all that. She definitely was one of a kind, quick witted, and outrageous. She was known to be an old hippy born in the wrong era and should have been raised in the 1970’s. Some of her hobbies were reading, listening to Motown music, taking bubble baths, collecting antiques and blown glass. Audrey was a good momma and loved her babies. She was preceded in death by her grandfathers, George Young and Karl Gene Dushane. Audrey is survived by her parents, Dwayne and Sherry Dushane of Andrews, 2 daughters, Harper Quinn Smart and Piper Finlee Smart, of San Antonio and their father, Justin Smart, of San Antonio, 2 sisters, Lindsey “Ninny” and “Uncle” Thomas Muldowney of Andrews and Ashlie “Roy” and Chris Meyers of Eunice, New Mexico, 2 grandmothers, Virginia Young and Sandy Dushane of Andrews, and her cousin and best friend, Megan Dushane of Andrews. Memorials may be sent to a Go Fund Me Page setup for 2 daughters at https://www.gofundme.com/audrey-dushane-smart. 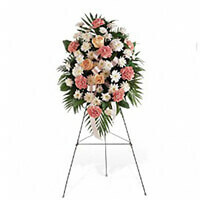 To send flowers in memory of Audrey Paige Dushane Smart, please visit our Heartfelt Sympathies Store. The family meal will follow the memorial service at the church. We encourage you to share your most beloved memories of Audrey Paige Dushane Smart here, so that the family and other loved ones can always see it. You can upload cherished photographs, or share your favorite stories, and can even comment on those shared by others. 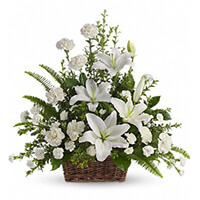 The Owen family, Cynthia Jones 𝑭𝒂𝒎𝒊𝒍𝒚 , and others have sent flowers to the family of Audrey Paige Dushane Smart. Our prayers are with you in this sorrow. The Owen family purchased the Peaceful White Lilies Basket for the family of Audrey Paige Dushane Smart. Cynthia Jones 𝑭𝒂𝒎𝒊𝒍𝒚 purchased the Gentle Thoughts Spray for the family of Audrey Paige Dushane Smart. We are sorry for your loss. Praying for the family. 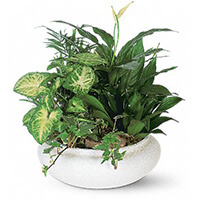 The Abneys purchased the Medium Dish Garden for the family of Audrey Paige Dushane Smart. Mary Lou and I want to express our condolences in your heartbreaking loss.